Ok, so this post takes a bit of explaining. I’m Swedish, which you know if you’ve been paying attention, so as it happens many (ok, three of them, which still leaves them in the majority) of my readers are Swedish. And if there’s one thing I’ve picked up from the Swedish beer geek scene after observing it from a distance these past nine years, it’s that British beer gets a bad rap there. No Swedish beer geek I know really enjoys British beer except maybe for BrewDog (who prefer to be called Scottish, I’m sure, though calling them “British” will certainly go over better than calling them “English”) – British beer is generally thought of as bland, stale, sour (in a bad way, not in a Cantillon way) and only one small step up from generic lager. And Lord knows they’re right, for the most part. There’s an awful lot of bad beer here, just as there’s an awful lot of bad beer in Sweden, or in the US, for that matter. But Swedish beer geeks have perhaps not been paying attention to the quiet craft beer revolution that has taken place in the UK over the past five years, with many new breweries drawing inspiration from the US, Belgium and from the UK’s own rich beer history and creating innovative, great beers that can stand proudly alongside the Mikkellers, BrewDogs, Founders and Southern Tiers of the world. It’s just that these UK breweries are not all that well-known in Sweden because the Swedish monopoly alcohol retailer doesn’t carry them. This last part takes a bit of explaining for my non-Swedish readers (all two of them). In Sweden, the distribution and retail sales of alcohol is still under a government monopoly called Systembolaget (literally, the System Company): if you want anything stronger than ABV 2.8, you have to go to a government-owned-and-operated off-license to get it. On the plus side, there’s at least one of these stores in every small town and their selection (for beer, wine and spirits) is a million times better than even well-stocked off-licenses in the UK (a beneficial effect of the monopoly is that Systembolaget is legally mandated to stock everything that is imported into Sweden, and to stock anything you ask them to, otherwise it would be considered discriminatory trade practice). So you can, for example, relatively easily get or order limited-edition Mikkellers and Abstrakts at Systembolaget, and they carry a solid range of US craft brewers like Great Divide, Abita, Flying Dog, Ommegang, Shipyard, Stone and Victory. What you can’t really get, though, is a solid range of British craft brewers. So in order to educate and entertain my Swedish readers, I will present a list of the top 10 British breweries you’ll want to see at Systembolaget. Read this list and then go bother your local monopoly rep, or even better, if you know a Systembolaget buyer, go bother them. Show them this list and pester them until they order from some of these breweries. The result will be more good beers for Swedish beer geeks – a win-win! If it also helps in even some small way to improve the poor reputation of British beer among Swedish beer fans, so much the better. First, to encourage you, I have to start with the one top-notch UK brewery (again, excepting BrewDog – haven’t I said that enough times already?) that actually is available at Systembolaget, namely Derbyshire’s consistently excellent Thornbridge. They have a core range of about 10 beers, 4 of which are available in Sweden: Kill Your Darlings (lager), Raven (black IPA), St Petersburg (imp Russian stout) and Jaipur (IPA). St Petersburg is their flagship on the craft side, Raven is as good or better than any US black IPA (it has a wonderful rosewater/turkish delight aroma to balance the massive hops) and Jaipur is a rock-solid IPA that is very easy to pair with a variety of foods. Over here, Jaipur and their South Pacific Pale Ale Kipling (mainly NZ hops) are available in some supermarkets, making them the obvious superior choice for your everyday beer needs. If you come to the UK, make sure to try their other offerings like their dark ale Bracia and their wheat beer VersaWeisse. They also do limited-edition barrel-aged versions of some of their beers – prepare for a beergasm if you have their Raven oak-aged version, or the Bracia Jimenez sherry-barrel edition. Kernel Brewery is not just the best brewery in the UK right now, it’s one of the best breweries in the world, period. They’re universally well-regarded in the brewing community and among serious beer fans: invites to the De Molen Boerefts Beer Festival and Mikkeller’s Copenhagen Beer Celebration attest to this. Head brewer Evin O’Riordan favours strong pale ales and IPAs alongside stouts and porters. Kernel beers all pack US-style massive hops, but O’Riordan also scours archives for old, traditional British beer recipes – resulting in such diamonds like the 1890 London Export Stout and the 1856 London Imperial Brown Stout. Almost every Kernel beer is truly limited edition: once they’re out of a batch, it’s not made again (there are a few exceptions – luckily, the aforementioned stouts are among them) as restless O’Riordan gets bored easily and prefers to experiment. That said, I have to say you are not likely to ever see Kernel beers in Sweden: they’ve already been approached by six Swedish importers and said no to them all, in part because the brewery is so small-scale they can barely supply London (though in January they’re moving house in order to increase capacity) and in part because O’Riordan believes beer should be a local product, made and drunk locally and not exported. So sorry for starting of with a British brewery you will in fact probably never see at Systembolaget no matter how much you nag. I’m not doing to well with this list, am I? And I’m only on number one. Why on earth can’t you get Dark Star in Sweden? They’ve been around for quite some time now, and for a long time they were arguably the leaders of the British craft beer scene. They were founded in 1994 as a brewpub in Brighton and transformed into a larger-capacity brewery in 2001, and they were among the first to take a lot of their influences from the US – they were innovators when a lot of the British brewery landscape was pretty staid and dominated by very traditional session-type beers like bitters, golden ales and the like. Ten years later, they’re still at it, still making top-class beers. Their Hop Head Pale Ale is a reinvention of the aforementioned British session beers, being massively full-flavoured for an ABV 3.8 brew. Espresso Black Beer is a likewise drinkable coffee beer (more like a coffee Schwarzbier than a coffee stout), and among their seasonal offerings there are even more stand-out beers: the Saison, the Winter Meltdown, the Smoked Porter (a co-op recipe together with US brewery Odell) and the Hylder Blonde elderflower beer all embody the craft tradition in a better and more consistent fashion than many US “craft” breweries. Britain’s most talked-about brewery in 2011 was an instant hit with beer fans. Bold flavours and consistent quality has rocketed them to the very top of the British beer league in just around six months. Their Imperial IPA Human Cannonball made many a beer blogger’s Best of 2011 lists, as did their “regular” IPA Cannonball, their West Coast IPA High Wire, their collaboration brew, the American Brown Ale Rock Star (brewed with previously-mentioned Dark Star), their stout Dark Arts, their imperial stout Bearded Lady… in short, most of their beers showed up on people’s Best of 2011 lists, which is no mean feat for a brewery that was founded in mid-2011 (they make another four of five beers besides the ones I’ve mentioned here, and they’re all superb). The Human Cannonball in particular is stunning, with wild bitter fruit salad hops backed up by a decadent sugary-syrupy malt body. 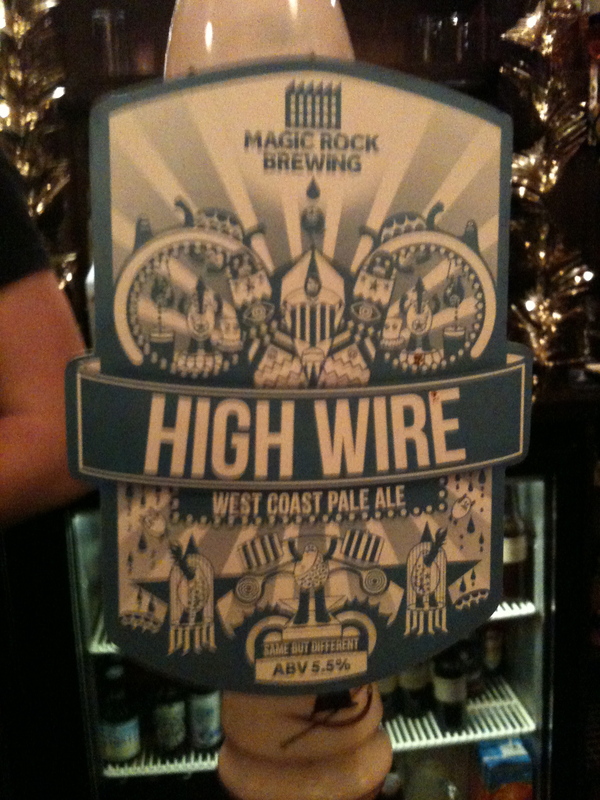 And their label/pump clip design is pretty darn good, too! If you ever get their beers at Systembolaget, consider yourself lucky. Lake District brewery Hardknott are so good, even BrewDog likes them! Hardknott fuses English tradition with craft innovation (sounds cliché, but it’s true) filtered through very idiosyncratic sensibilities: Hardknott beers are, truly, like no others. For example, they manage to do great bitters – a beer style that for most Swedish beer geeks is synonymous with “boring” – and that’s bitters plural, both their Continuum (ABV 4.0) and their Atomic Narcissus (ABV 4.2) are solid and unique entries in the genre. And if you are in the mood for something more extreme, Hardknott does that too: there’s their vintage barley wine Granite (ABV 10.0), their triple imperial vanilla mocha stout Vitesse Noir (ABV 11.0) and their limited-edition vintage barrel-aged imperial stout Æther Blæc (ABV 8.5) – the 2011 edition, Æther Blæc Epsilon, has been aged in Speyside whisky casks. As a bonus, head brewer and owner David Bailey has one of the best, most outspoken brewer’s blogs in Britian – always a good read. 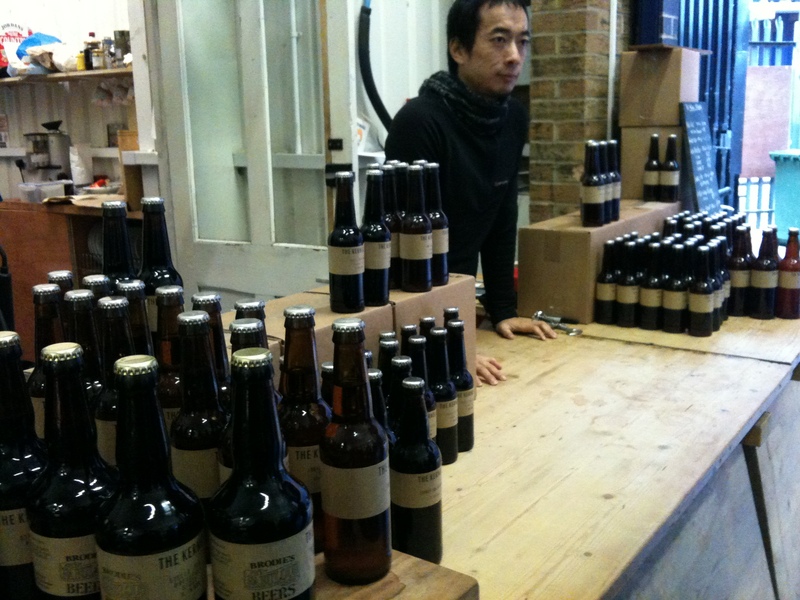 Also on many people’s Best of 2011 lists was Tottenham brewery Redemption. They have a limited range of six core beers and they don’t experiment as much as, say, Kernel or Hardknott do – but what they offer are consistently excellent, flavoursome and complex beers, very much in the best of the British tradition. Their bitter Urban Dusk layers coffee, chocolate, dried fruit and berry flavours with a lasting, dry hoppy finish, their Fellowship Porter starts with similar flavours against a clean roasty, citrusy bitterness, and their Big Chief IPA marries a US style with NZ hops in a perfect way. OK, so they don’t bottle their beers (they just sell casks to pubs), but their beers could conceivably be served in Swedish bars, at least. Summer Wine Brewery in Yorkshire started in 2008, looking much like any other generic UK brewery – but they soon rebranded and reinvented themselves and in 2011 they exploded onto the British beer scene in a similar way to Magic Rock. Retro 80s-style labels and pump clips hide progressive – sometimes even shocking (in a good way) – beers that demand attention. You have their Diablo IPA, which at ABV 6.0 is a proper stonker of a fruit salad, their Barista espresso stout is a light and frothy coffee stout at ABV 4.8, and their Teleporter ten malt porter (ABV 5.0) is, alongside Redemption’s Fellowship Porter, a contender for Best Porter of 2011. And these three are just from their core range – in addition, Summer Wine brews a new limited edition beer almost every month. Some mouth-watering examples of their more extreme beer range in 2011 were the 7C’s of Rye rye IPA, KopiKat imperial vanilla coffee stout (also in two barrel-aged versions, one using Caol Isla islay whisky casks and one using Linkwood speyside whisky casks), and of course the unholy style mix Cohort, a double black belgian rye IPA – and then we’re not even getting started on the four Summer of Saison saison varieties (Nettle & Ginger, Lime & Coriander, Lemongrass & Fennel and Orange & Rosemary). Those who think of British beers as same old, same old have clearly never tasted Summer Wine. Where breweries like Magic Rock and Summer Wine rocket to stardom, Brodie’s Brewery in East London has just quietly been making very, very good US-style beers since 2008. They bottle very little of it so unless something changes I think they are not likely to appear at Systembolaget, but if they did, the serious beer fan should camp outside his or her local store come the release date: all of Brodie’s beers are first class. Like their London neighbours Kernel, Brodie’s are relentlessly innovative and while they notionally has a ‘core range’, always expect new beers to pop up. 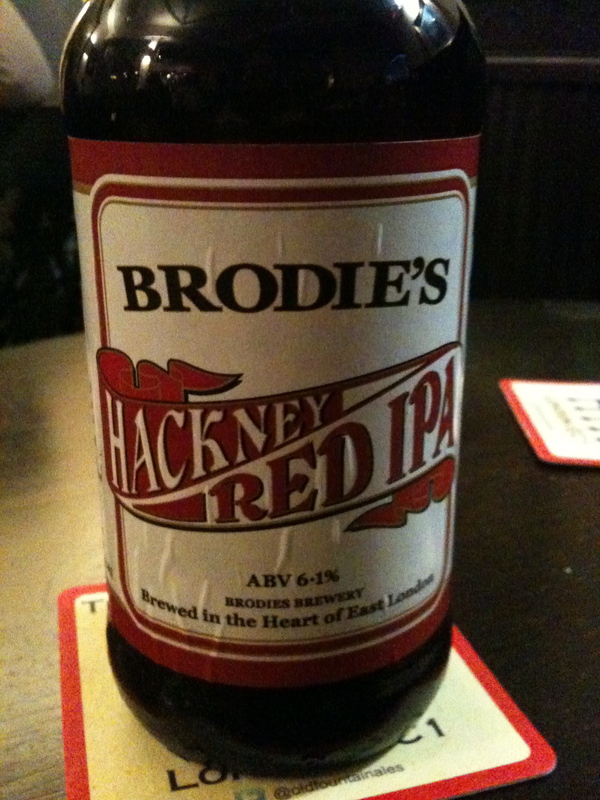 Brodie’s main strength are their various IPA varieties, from slightly smoky Hackney Red IPA through beefy, fruity Old Street Special IPA to sublimely floral and hoppy Dalston Black IPA – but they also do most other styles well – witness their Superior London Porter (a heavy, ABV 7.8 porter), and their American Brown Ale, for example. And Brodie’s can also do extreme: their Elizabethan Ale at ABV 22.0 (yes, you read that right) is as far as I know discontinued at the moment but they may make it again, in which case – beware! Cocky, young brewery Camden Town (also a London brewery) are good at marketing and branding – but all that would be meaningless if they were not also very good at beer. Their core range is pretty conventional – Helles Lager, Pale Ale – but among the keg taps we also find their Wheat, possibly the best dunkelweizen I’ve ever had: sweet and full and dry at the same time. This year they released a very easy-drinking, dry stout, Camden Ink, as well as a couple of limited-edition stunners like the lemon-and-bergamot witbier Gentleman’s Wit, the Showboat brown ale (with a bitterness that literally creeps up on you, a great trick I have no idea how they achieved) and the Bleeding Hops IPA (with fresh hops in the keg!). I for one can’t wait for their 2012 offerings. You might have thought I have something against traditional British beer styles like bitters, golden ales and milds, but that’s simply not true – it’s just that these stalwarts are often done in an unimaginative, lazy way. Not so super-local Yorkshire brewery Ilkely. They’re not crazy-experimental like Summer Wine – they just do damn fine traditional British beers with an injection of US and NZ hops. Their pale ale Mary Jane is a proper Amarillo bomb at ABV 3.5, their US-style Lotus IPA is, at ABV 5.6, more fruity and citrusy and hoppy than many lazily put-together Double or Imperial IPAs, and their oatmeal stout Stout Mary has a lovely mouthfeel, a properly chunky and spicy beer with lots of coffee and dried berry/fruit flavours. Ilkley also do a wide range of seasonals, most of them also in traditional British styles but with a new twist – their Christmas ale Mary Christmas is golden, not dark, but still full of Christmas spice and zesty flavours. The British craft beer scene is arguably centered in the South (in and around London) and in the North (Yorkshire, Derbyshire etc) – but the West also gets a look in thanks to Bristol Beer Factory. There are two great British beer traditions: one is the low ABV, flavoursome session beer, and the other is the high ABV dark ale/stout – and Bristol Beer Factory has mastered them both. Their ABV 3.8 Acer is much like Ilkley’s Mary Jane but using Sorachi Ace hops instead of Amarillo, for example. They have two top stouts: the Bristol Stout and the Milk Stout, both incredibly moreish and well-balanced stouts, and one of the best dark ales in Britain: their ABV 5.2 Exhibition Ale. They also like to experiment – they’ve done vintage ale, Bristol Vintage 2011, to celebrate the 1000th brew in their brewery, they’ve made a 60-minute hopped american IPA (Independence) and this past Christmas they released their 12 Stouts of Christmas – a series of 12 stouts with wildly different characters and recipes (what about a Hazelnut Latte Stout, a Chili Chocolate Stout, a Chocolate & Orange Stout, a Raspberry Stout and a Laphroaig Cask Stout… the list goes on). With almost all of their beers available in bottles, it’s a mystery why someone hasn’t ordered them in for Systembolaget. Most of the names on this list were obvious choices but many worthy breweries were also left out – if you’re curious about the UK craft beer revolution, by all means also check out Scottish Fyne Ales (a favourite of De Molen brewer John Brus), brand-spanking newcomer By the Horns, or Welsh stalwart Otley. 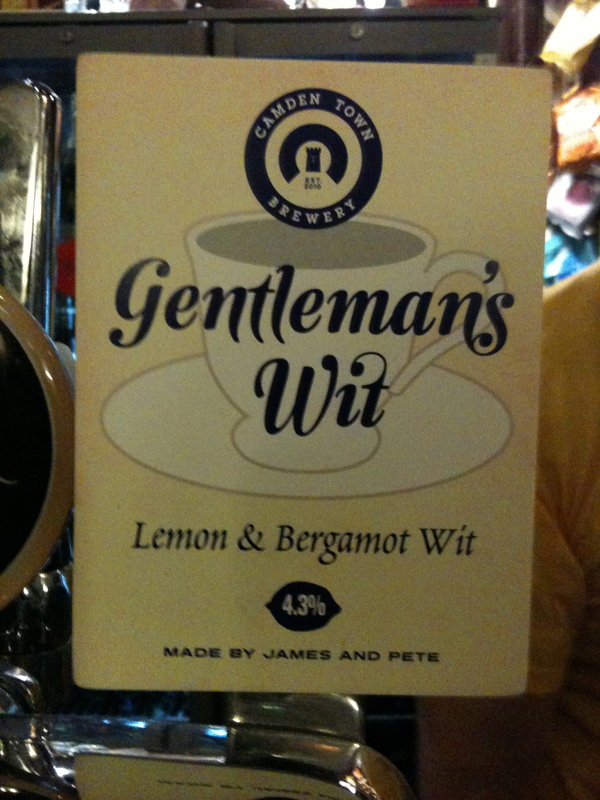 So, Swedish beer fans, stop dissing British beer and start drinking – you will be pleasantly surprised! Posted on January 6, 2012, in Feature and tagged Bristol Beer Factory, Brodie's, Camden Town Brewery, Dark Star, Hardknott, Ilkley, Magic Rock, Redemption, Summer Wine, The Kernel Brewery, Thorn. Bookmark the permalink. 6 Comments. 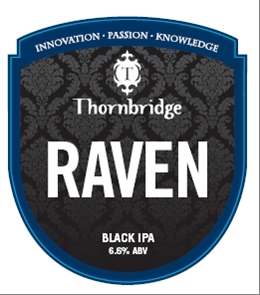 Well, Rickard, if you follow this blog I’ll hopefully give you more reasons to change your opinion of English beer (you should really try the Thornbridge Raven Black IPA while they have it at Systembolaget)! Just out of curiosity – what made you interested in Dark Star and Bristol Beer Factory in particular out of the ten? Dark Star because of the Hop Head, I’m always on the lookout for good hoppy session beers with lower ABV but great taste (Brewdog’s Thrashy Blonde is probably my benchmark right now). Bristol because they seem to have that playful, experimental mindset that shows in their christmas beer selection. There are several other interesting things I’d like to try though. Hardknott’s stouts looks very promising. I’ll see if I can get some papers in order and try to import some bottles. Raven has this lovely strong floral/rose/perfume nose which is also present on the tounge, then a nice big dry hop kick. Try it and let me know your thoughts! Currently enjoying my first Raven. I guess I’ll put my review here. It’s truly a black IPA. The nose is very nice with a burst of fresh piney hops, roasty tones and a little liquorice. It doesn’t seem very far off from what you’d expect from an imperial IPA. Taste is very big with the more citrusy hops taking the front together with the malts before it tapers out and leaves some bitter grapefruit lingering on the palate. Nicely balanced overall, even though the lasting bitterness isn’t my favourite. In the future I’d like to have it with something on the side to cut the aftertaste short. I think a simple piece of bread with some blue cheese would work wonders. Very nice and solid bottle overall (and I have 11 more) even though black IPA is not my favourite style. Score one for the brits, will definitely see about getting Jaipur or Kipling over here. Glad you liked it, always glad to spread the word about good British beer!